Your trailer comes with a factory honored warranty. At Metro Trailer, we have a large service facility to handle your warranty or damage repairs. 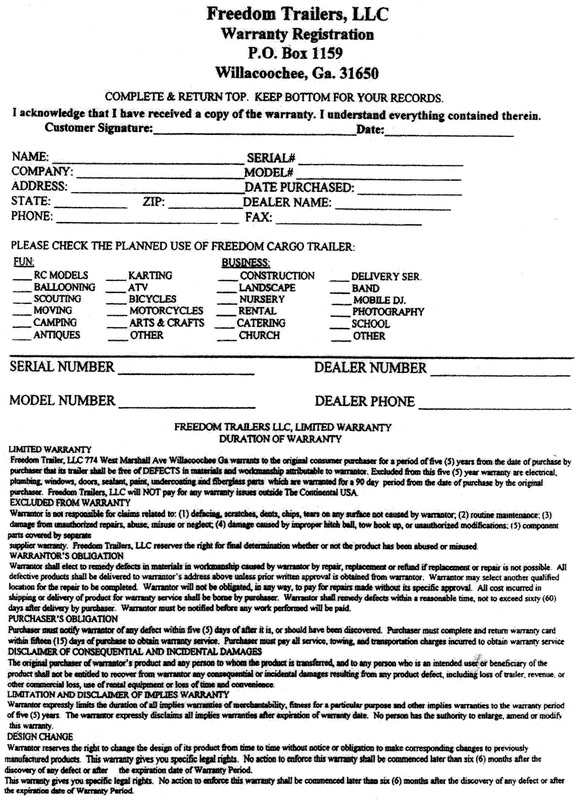 TO MAKE A WARRANTY CLAIM YOU MUST FIRST CALL THE FACTORY THAT MADE YOUR TRAILER - DO NOT CALL THE DEALER. Calling your dealer will only slow the process. Only the factory and its suppliers can authorize warranty repair work. We have done our best to ensure that all of the information contained on this page is factual and accurate. However, we do make mistakes and apologize for any typographical errors. All of the information printed was based on the latest product information available at the time of publication. Specifications may vary between factories. Photos may show optional equipment, which is not a standard item on a particular unit. 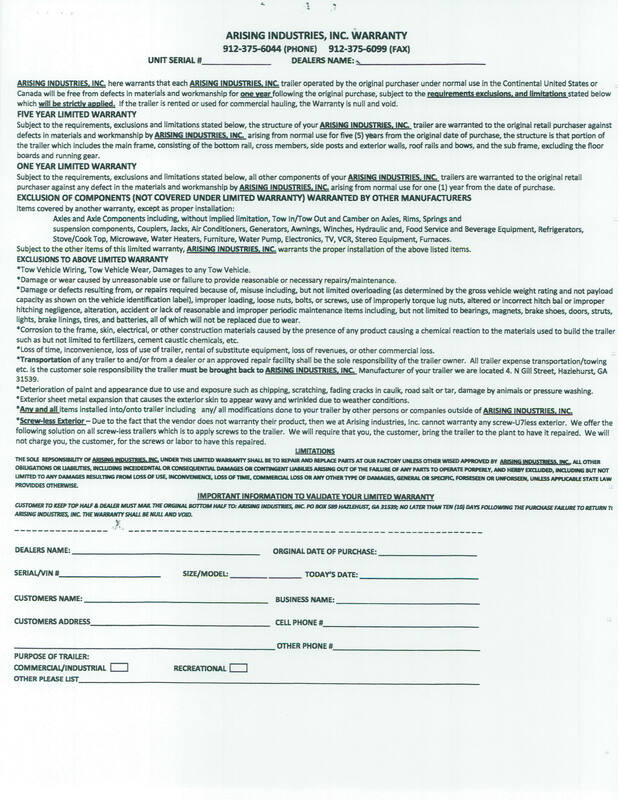 Each manufacturer reserves the right to make changes at any time in prices, colors, materials, equipment, specifications and models and to discontinue models without notice or obligation.